Sign up by April 1 for the Third Annual Governor’s Youth Turkey Hunt. 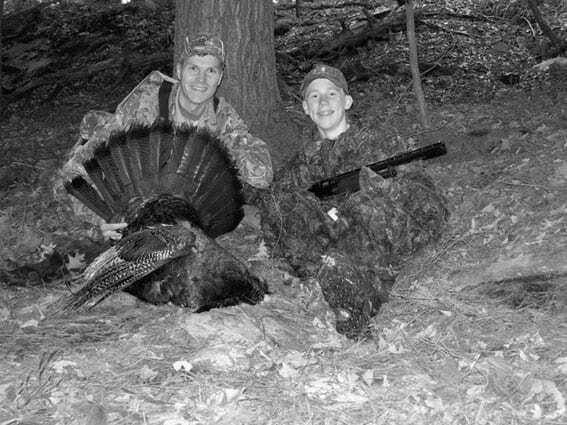 In an effort to promote youth hunting in Vermont, youth hunters are encouraged to participate in the Third Annual Governor’s Youth Turkey Hunt this spring. The young hunters will be treated to a luncheon with the governor on Sunday, April 19, at the Waterbury Fish & Game Club, where he will lead a discussion on the importance of the hunting tradition in Vermont. On Saturday and Sunday April 25-26, coinciding with Vermont’s Youth Turkey Hunting Weekend, the young hunters will take part in a guided turkey hunt. Each youth hunter will be provided with a guide from the National Wild Turkey Federation (NWTF), the event’s sponsor. “Governor Shumlin is an ideal leader for this program. As a lifelong hunter, he understands the importance of this tradition,” said NWTF chapter president Don Isabelle. “Youth participation in hunting across the country, including Vermont, has been on the decline. We hope the Governor’s Youth Turkey Hunt will help reverse this trend and entice young people in Vermont back to hunting,” he said. Interested youth hunters are required to submit a completed application along with a letter explaining why they would like to participate. Applications are available on the Fish & Wildlife Department website and must be submitted by April 1. The event is open to any licensed hunter under the age of 16, and previous hunting experience is not required.